It’s a weird time to be a nonfiction filmmaker in America. But rarely has it been more important. Not only do we need true stories, but we need deep, nuanced true stories that eschew the broad brush of clickbait journalism in favor of what New York Times writer Michiko Kakutani called “the fresh, mixed-up happy-sad texture of real life.” In other words: we need documentary filmmakers. And we need good ones. 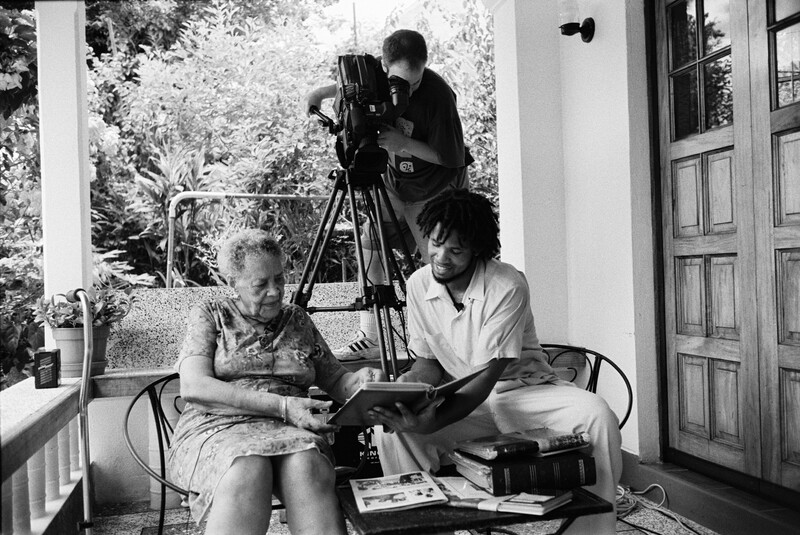 After a brief childhood stint in Grenada that could rival a Spielberg film for its cinematic scope and themes, Damani Baker caught an itch for nonfiction storytelling that would lead him to a liberal arts degree from Sarah Lawrence College, a film degree from UCLA, and ultimately a career as a documentarian/filmmaker. His subjects have included music legend Bill Withers and most recently his own childhood experiences in Grenada, captured in the full-length documentary The House on Coco Road, which is now available via Netflix. We spoke to Damani a few days after the U.S. presidential election. What does it feel like being a filmmaker at a time like this in our country? Does it act as an inspiration or a discouragement? I think it creates some real fire. If I weren’t motivated to make work that inspired and changed people before, then I am definitely motivated now. I think art, the ability to make a space to be vulnerable and share stories it’s an incredible job to have. Daunting at times. But it’s exciting to imagine the ways people are going to come together. What’s going on right now is a real examination of power. It reveals how, culturally, we don’t always recognize the smallest voices as being some of the most powerful voices out there. Some of the artists who are doing the most badass work haven’t had a platform. We’re in a very interesting time where a lot of those voices are going to rise to the surface. We’re reimagining the world we want to live in. People are responding to recent events very passionately and clearly. A lot of it goes back to the film I’m putting out right now, The House on Coco Road. It’s about my family’s experience living in Grenada in the ’80s. My mother decided to move us, my sister and me, from Oakland, California, to this new socialist democracy experiment in the Caribbean. 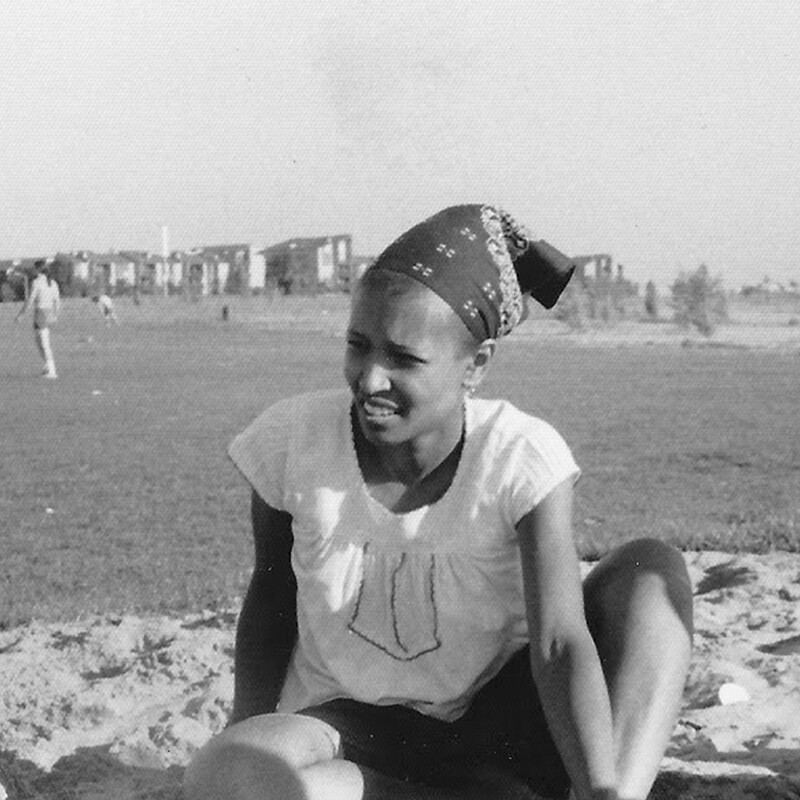 She was offered a position in the revolutionary government, and we ended up falling in love with this country. Sadly, there was an eventual coup and U.S. military invasion, and we were evacuated by Marines on the third day of the invasion. Weirdly, that’s how I became aware of history and storytelling. The Grenada I knew wasn’t the one they were showing on TV. 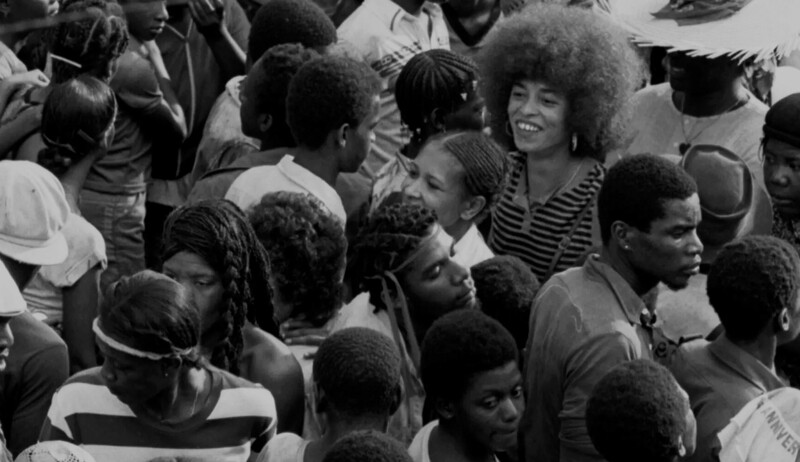 The Grenada I knew was beautiful and revolutionary. It’s the first time I started to question how information was broadcast. I remember thinking, This isn’t true. This is not the truth. I started falling in love with the idea of telling stories. I started to imagine myself as a storyteller. Your creative drive was based on distrust in what you were seeing versus reality? It was driven by my curiosity about my family, more than anything else. Growing up, I didn’t see many people who looked like me or my family in movies. We all love Star Wars and Raiders of the Lost Ark, and we call them classics. But I was curious what other classics could exist that we didn’t define in quite the same way. Films that included people who looked like my family and me. When those films are made, they stand out. I can probably name five of them. I can talk about Julie Dash’s Daughters of the Dust, Charles Burnett’s To Sleep with Anger, Euzhan Palcy’s Sugar Cane Alley. We call them “art films,” but they’re just films that didn’t get a big platform. My mom intentionally exposed me to films like that early on, in junior high and high school. When you started making films, did you have subjects in mind? Or did you have to dig around for them? 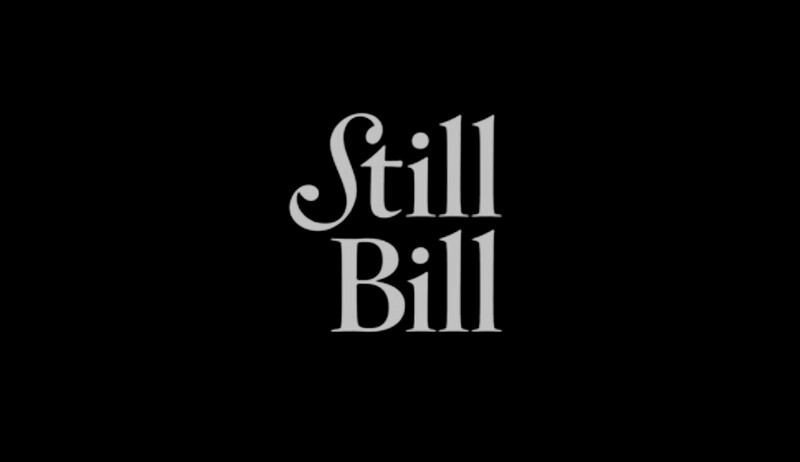 So when I made my first feature documentary, Still Bill, it was because my co-director and producer, Alex [Vlack], and I were basically Bill Withers heads. We loved the music. It made sense as a thing to do. And it turned out that Alex and I worked very well together. He is more of an executive producer. I like to throw paint on the floor. It was a great marriage. How did you get Bill Withers on board? I don’t want to say “harassment,” but we literally kept following up with Marcia Withers, Bill’s wife who manages a lot of his music work. We begged her for years to set up a meeting with Bill. He had no interest whatsoever, as you can see in the film. He couldn’t care less. Of course when we did finally meet with him, we were floored by his generosity and graciousness and Yoda-like philosophy. That first meeting turned into three years of shooting, and 350 hours of footage. It was born out of this wacky passion idea. Then you have to start asking yourself, What do I need to put in place to make this happen? In nonfiction, you have to approach your work with this combination of humility and confidence. You have to be vulnerable and then at times take the lead. It’s this delicate balance that is fascinating and fun, and it drives me. What makes a good subject for a documentary? I think the starting point is finding something you care about. When you do that, these characters naturally rise to the top. I also think a great subject is someone who almost says no in the beginning. It’s the person who isn’t sure they want to reveal that much. Those are the people who have something to say. 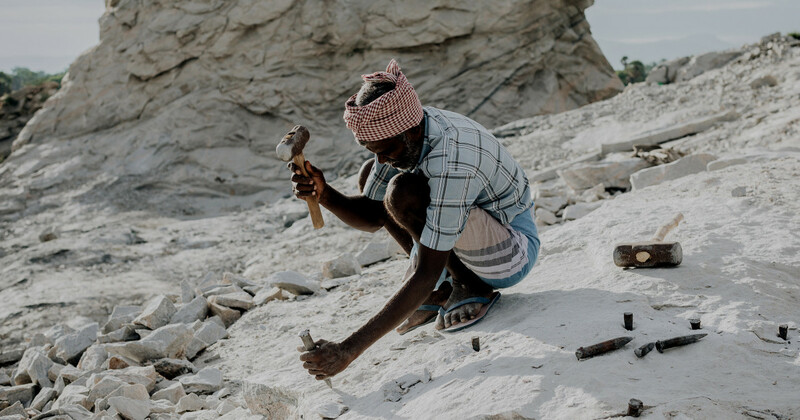 As a nonfiction documentary filmmaker, if you’re willing to stick with them, spend the time to gain their trust, and become a collaborator in telling their story, the results can be mind-blowing. Really. Do you have some sort of overarching message with your work? There is a common thread of re-recognizing our own ability to be decent, loving, kind people. Or as my mom says in The House on Coco Road, to imagine “a better, more livable world.” There’s something driving me for sure. I think some of it is about unpacking layer upon layer of these toxic ideas about who we are as people, human beings, and getting to the heart of what the black experience really looks like. For example, the film about Bill Withers. It’s not about any drama or what scandals he was involved in. It’s not VH1’s Behind the Music. It’s this slow, unraveling story about a man who says things like, “On your way to wonderful, you’re gonna have to pass through alright. And when you get to alright, take a good look around and get used to it, because that may be as far as you’re gonna go.” Someone who says things like that is not what people expect. That is way more interesting for me as an artist. How do you reveal character in a documentary? Or, like you said, “unravel” someone? It’s new every time. Totally unpredictable. There is a part of our job as documentary filmmakers where we have this fire and this story we want to tell, and we’re super obsessed with something. And then there’s another part where we need to calm down and be quiet and be a great listener. Be a person who asks great questions. Be someone your subject trusts enough to share little bits of their life with you that can become a scene. Then you show up and let it all play out. Do you go into your films with a plan or do you improvise? Totally improvise. All the way through. Every bit of it. It’s really expensive. 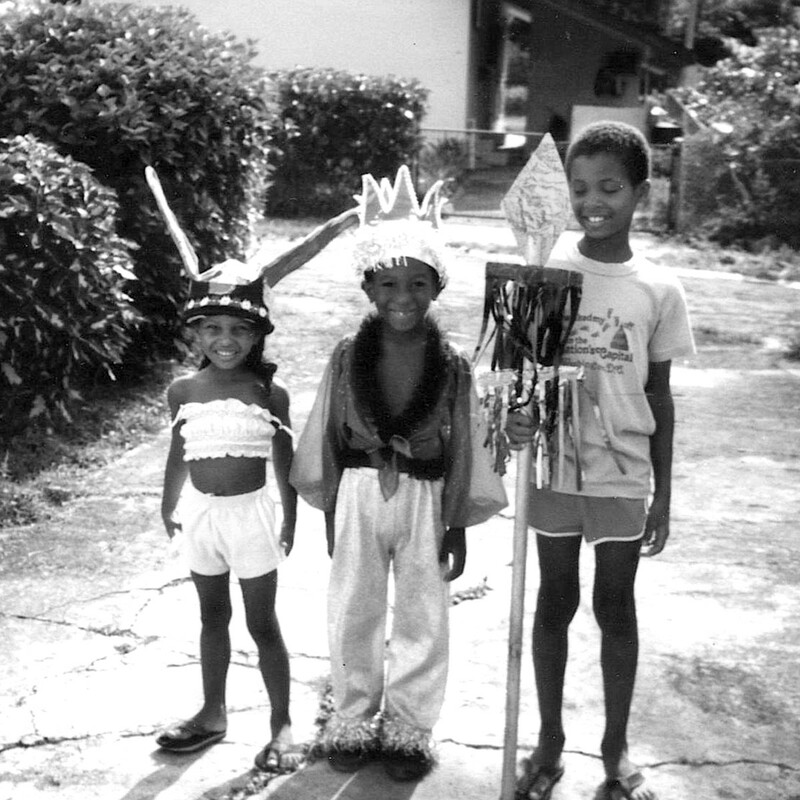 I got a Sundance grant to make The House on Coco Road in 2000. It’s playing at IFC this week. That’s 16 years later. You write during the edit? Definitely. I keep a bulletin board behind my desk with notecards. They’re color-coded. I shift them around until they make sense. 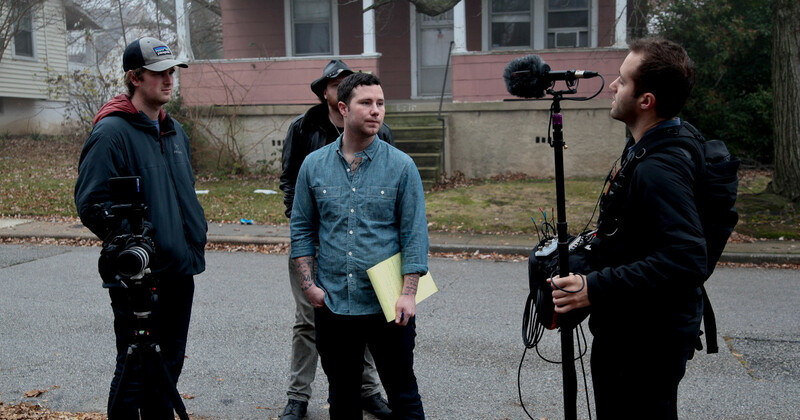 What’s an important lesson you’ve learned about documentary filmmaking after all these years? One thing I do is try to capture moments of change for the character. How is this person changed because of the action they’re taking or this action they’re telling you about? Even within a small scene. Just showing someone walking into their house, hanging up their coat, looking in the fridge — maybe there’s nothing in the fridge, how does that affect their night? How does that affect their relationship with the other people in the house? You start to see things that way. Not to get all film school-y, but what does this person want? Someone like Bill Withers, for example. He’s not interested in fame, but there’s something he wants that’s propelling him. Why do you think nonfiction films are important right now? There’s this quote from James Baldwin: “I began to be bugged by the teaching of American history, because it seemed that that history had been accomplished without my presence.” But basically you grow up and you don’t see yourself in history. It goes back to being a 9-year-old in Grenada. I see nonfiction as being the real pulse of the moment. The immediate moment. You don’t have time to go raise $20 million from some studio, put together a crew, audition directors. In the nonfiction world, it’s now. You have to go now. The freedom of being an independent documentary filmmaker is that you are your own beast. Your own studio. You just show up to something you think is interesting and spend as much time as you want with it. It’s an incredibly powerful medium. Right now especially.